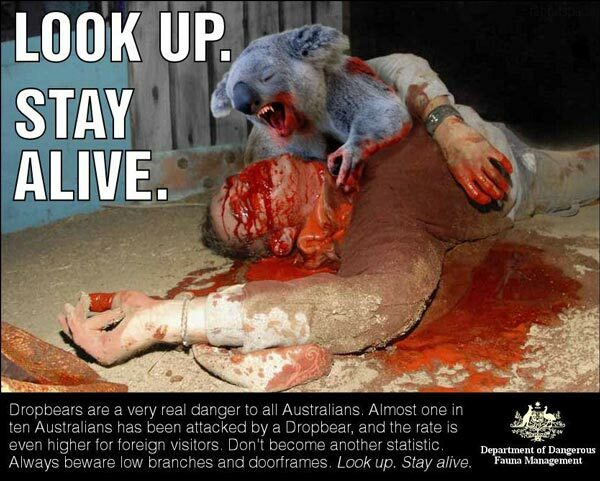 Dropbears are a very real danger to all Australians. Almost one in ten Australians has been attacked by a Dropbear, and the rate is even higher for foreign visitors. Don’t become another statistic. Always beware low branches and doorframes. Look up. Stay Alive.